Posted on April 1, 2019 by Genezaret Quintana. This entry was posted in Whole U Program Information and tagged April Events, events. Bookmark the permalink. 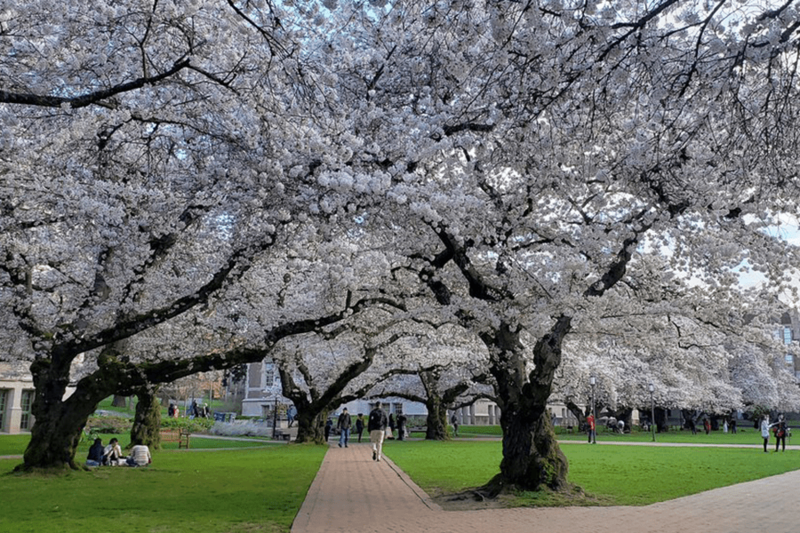 With spring in full swing, The Whole U has organized a slate of events this April that are sure to please—whatever your fair-weather goals are! Whether you’re eager to become financially fit with our newest program pillar, more physically active by taking part in UW Walk Week, or looking forward to taking your children to work as part of Take Your Kids To Work Day, check out the events and activities below that are sure to sweeten your spring! Kick off April by committing to walk at least 30 minutes each day by participating in the Whole U’s annual Walk Week! Participate as a solo participant or gather a team; regardless, you’ll be able be sure to get the energy and focus you need for the rest of your work day. Check out our Walk Week promotional page to join ambassador walks across UW. Enter to win a Whole U swag box by participating in our Team Walk Competition! Looking to rejuvenate your daily walk? Join us for a Scavenger Hunt on April 3; first place will win 2 bags of fresh produce from our discount partner Suji Fresh! Whole U Self-Defense Fitness Class Series – April 2 at the HUB, 10:00 a.m. – 11:00 a.m. 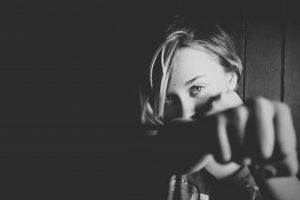 Learn personal safety and self-defense skills with fitness instructor Patricia McDonald—all while getting a great full-body workout. This four-class series kicks off April 2, so be sure to reserve your spot. No previous experience or special skills are required. All fitness levels welcome! April 11 at the UW Tower, 12:00 p.m. – 1:00 p.m. Interested in buying and remodeling a “fixer upper”? 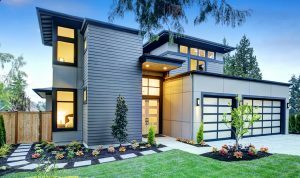 Attend this seminar to gain the knowledge you need to find the best property to buy, discover the best practices and methods to successfully complete the remodeling, and decide whether you can complete the job on your own or hire out. Register here. Celebrate Earth Week with events that focus on action, equity, diversity and environmental justice! From different forms of environmental justice events to the Africa Now Conference, visit here for a full schedule. 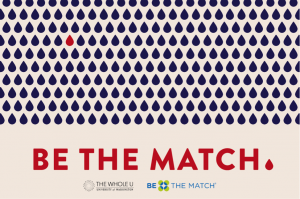 On April 22, UW will celebrate Earth Day with “Engage for the Earth“ on the HUB Lawn and Lyceum from 11 a.m. to 3:00 p.m.
Talking Be The Match and How It Changed Our Lives! April 17 at the HUB, 12:00 p.m. – 1:00 p.m. 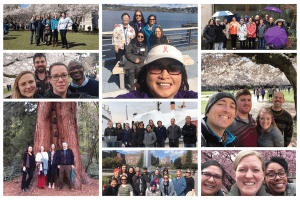 Learn first-hand the life-encompassing joy of being—and finding—a donor match for patients with rare blood cancers at a special panel event hosted by The Whole U and the UW Combined Fund Drive. UW’s own Joe Grojean and Alexes Harris will speak about their experiences overcoming rare blood cancers alongside a UW student whose decision to be a potential marrow donor ended up saving a stranger’s life. Register here. Buying a Home Seminar – April 17 and April 18, 12:00 p.m. – 1:00 p.m. The Whole U and Homestreet Bank will be providing two seminars on everything you need to know when buying a home. From today’s real estate market to the role of a real estate agent to the ins-and-outs of buying a home, this seminar is a fit for anybody looking to buy their first home or just wanting a refresher. Register here for the April 17 seminar in South Lake Union or here to attend the April 18 seminar at UW Tacoma. April 15 at the HUB, 12:00 p.m. – 1:00 p.m.
Navigate the internal challenges you face and strive for self-acceptance through this interactive experience with Danny Arguetty, Mindfulness Program manager at UW Recreation. 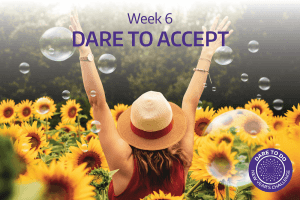 To find methods to practice acceptance, explore the fabricated narratives that keep you in place, and cultivate self-compassion and compassion for others, register. 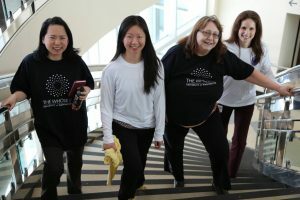 In honor of Earth Day, join the Whole U for our Skip the Elevator and Take the Stairs challenge! Help the environment, add some extra exercise in your day, and join your co-workers as we aim to reach our goal of 500,000 stairs climbed. All steps climbed between 6:00 a.m. and 11:59 p.m. on April 22 will be counted towards the challenge! To enter the challenge, register here. Credit Reporting 101 – April 23 at South Lake Union Administration Building, 12:00 p.m. – 1:00 p.m.
Want to learn more about how credit bureaus develop your credit score, and how it affects whether you can refinance your home or get that new boat or car? Join the Whole U and the Washington State Employees Credit Union for a beginner’s workshop, covering how to improve your credit score, what affects your score, and how to get a free credit report. Register. 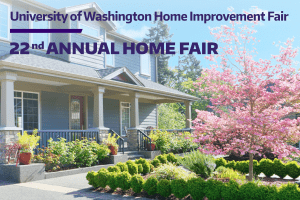 April 25 at the HUB South Ballroom, 10:00 a.m. – 3:00 p.m.
Join the Whole U at UW’s 22nd Annual Home Improvement Fair, hosted by the UW’s Benefits Office and HomeStreet Bank. 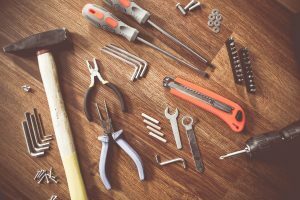 Find your next set of home improvement tools or go-to resource hub with the over 25 home improvement vendors present at the fair. Enjoy refreshments and the chance to win prizes, including an Amazon 2nd gen Echo Show – all while getting what you need to make your next home improvement project successful! 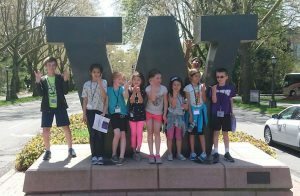 The Whole U will be hosting numerous events for UW’s Take Our Kids to Work Day, such as facility tours, a yoga class, a scavenger hunt, and a chance to meet some UWPD’s finest! Below is a quick summary of the day’s events on the UW Seattle campus; UW Tacoma and UW Bothell events will be coming soon! For a full outline of the day with registration links for these events and the day in general, visit the main event page. UW Fitness Day – May 8 at Husky Stadium, 12:00 p.m. – 1:00 p.m.
It’s that time of year again: our annual UW Fitness Day! Join the Whole U to participate in 20 circuit training exercises, led by UW Athletic coaches and players, UW Recreation instructors, and Whole U fitness partners from around the community. All fitness levels are welcomed and encouraged to participate. With an abundance of support, swag, and exercise, UW Fitness Day promises to remind us what it means to celebrate all forms of fitness AND what it means to be a Husky! Register here.